We just wrapped up a fun poetry unit in Language Arts - and my 5th graders had a blast! 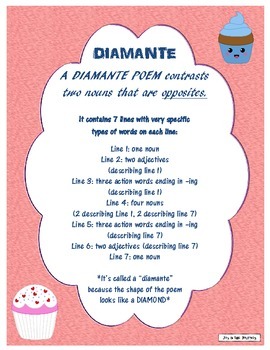 I love introducing the kiddos to new forms of poetry - one of which is the Diamante Poem. 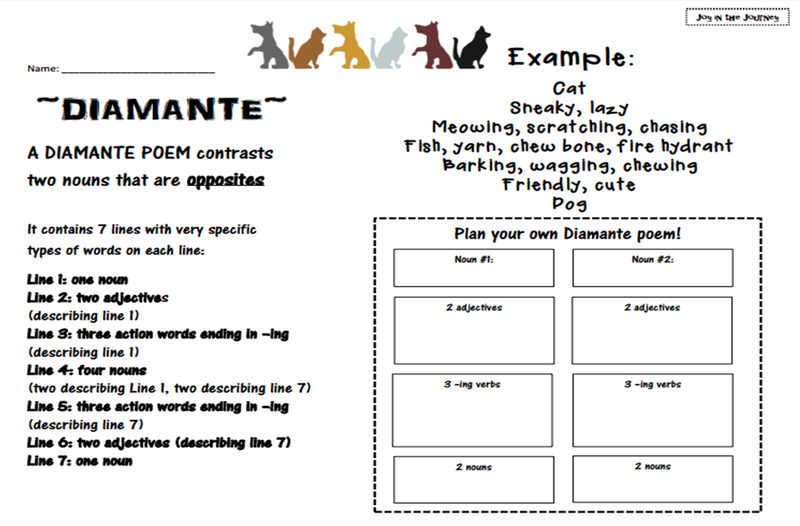 Diamante poems are 7-lined poems that are used to compare and contrast two opposite nouns. It gives students valuable practice in identifying and providing examples of different parts of speech, comparing/contrasting nouns, and writing different lines of poetry. Didn't they do a phenomenal job?!? 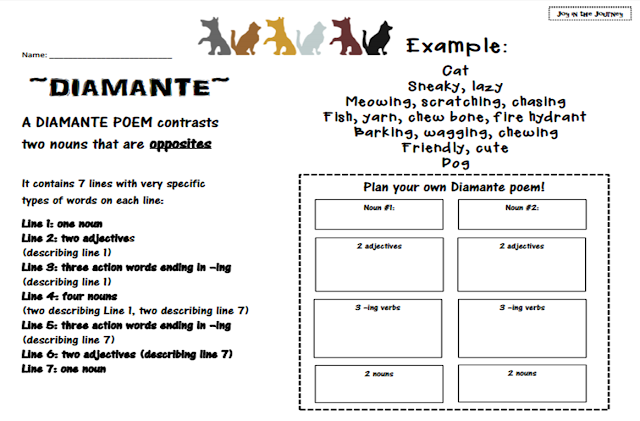 If you'd like to try this project, you can download my FREE Diamante Poetry packet on TPT. It includes a definition, instructions for writing, brainstorming paper, and a final draft template.